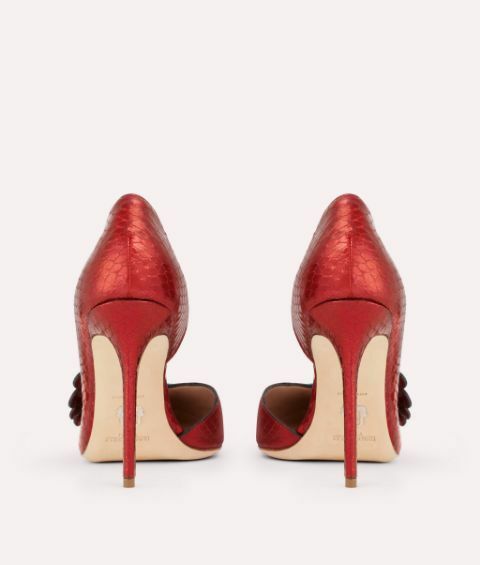 In Paula Cademartori's signature style, the Iris Ayers pump is meticulously and lovingly designed to create the perfect feminine silhouette. 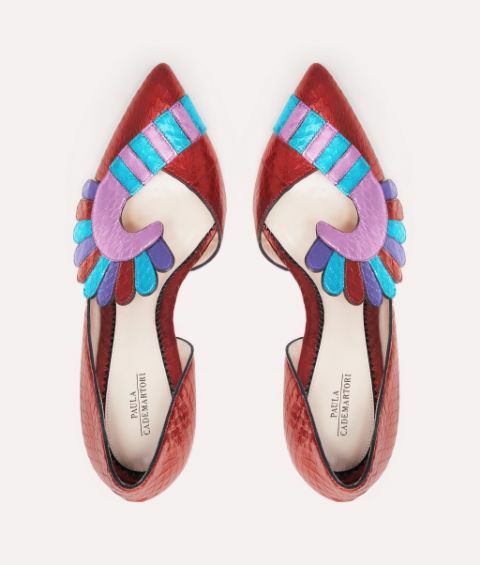 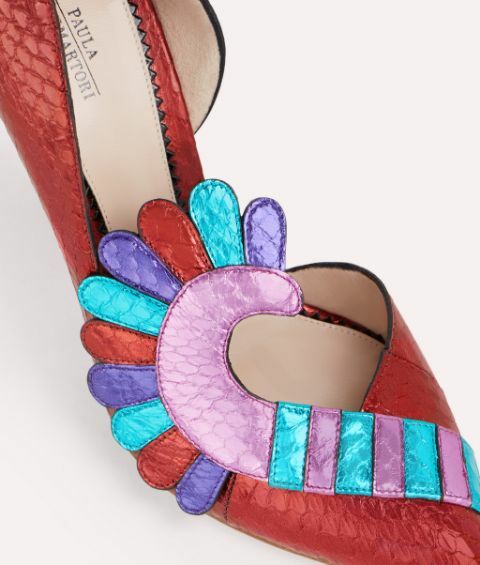 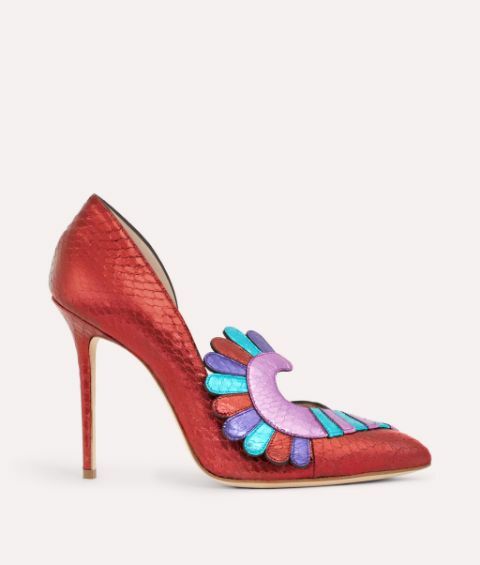 This enigmatic pair is masterfully made in Italy from metallic leather and snakeskin in a dazzling ruby hue. 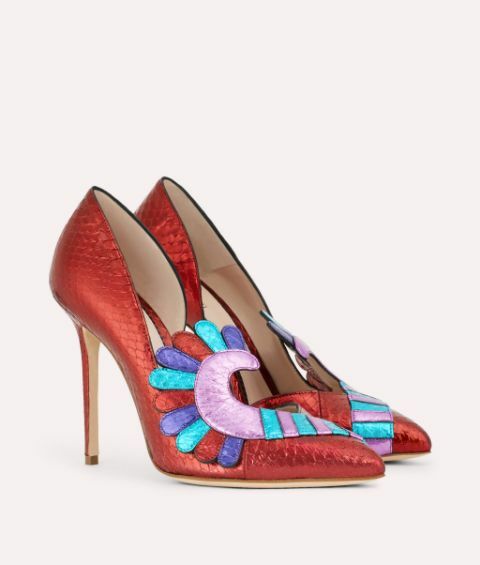 The multicoloured embellishment across the elegant V shaped vamp takes this precious design into into fantastical realms.